I was always writing stories back in school, even in primary. The earliest ones were often described in reports as having ‘a chatty style of prose’ which meant I was pretty free form in my approach and forever breaking the fourth wall when I didn’t know what the fourth wall was. I would usually start with something like this. Why are two people standing on this broken bridge? And why haven’t they seen it was broken? Some people are really stupid it seems. Seriously, a lot of the very first things I wrote sounded like they were translated from Japanese to English by a person who couldn’t read either. I’d like to think I improved a bit over the years that followed. 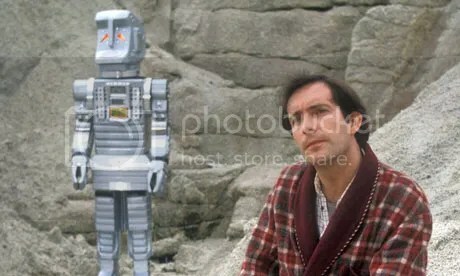 I did some better stories during secondary school which did result in my English teacher of the time handing me a copy of Hitchhiker’s Guide To The Galaxy and saying that it was probably ‘my sense of humour’. She was right. During college though, apart from a year long creative writing night class, I mainly wrote scripts which requires thinking really visual and forever wondering what would look good on screen. I haven’t written anything short story related for years, I’m not sure I could get back into it even though I’ve been thinking about giving it a go to break up script writing. I’m still undecided as to what to do with the end result though. Part of me wants to try and get it published somehow, the other part of me wants to just stick it up on this blog. I’m pretty sure the latter is a little bit vain though. I’ve been writing recently but nothing script related. I chanced my arm on the possibility of writing something for a games website called Square Go. Upon emailing the editor it’s suggested that I write one commentary piece and a game review. I spent a few nights writing about Injustice-Gods Among Us and a small piece about how games automatically revert back to game related mechanics as a safeguard when they should be braver in their storytelling. I’ve yet to hear anything back but I was always aware this might take a while. I might not be able to contribute every single day but something small every once in a while would mean I was writing something other than scripts for a bit. It’s not the first time I’ve written for games websites either. The last time around saw me review ‘Bayonetta‘ which is a cracking game but there was a small moment when I was asked to write about how the Xbox and Playstation versions differed as far as visuals went. It was a tiny bit soul crushing, a bit like taking a classic book and being asked to write about the quality of the paper it was printed on. Reading the writing guidelines for Square Go reveals that they’re not bothered by technical details. This thought relaxes me greatly. I’ve probably just broken one of my own main rules of script writing by going back and rewriting before the first draft is finished. The main reason being that I needed to add something that, if it was added any later, would require major surgery going into draft 2. My struggles of trying to make archeology an interesting subject to hang a possible alien invasion on and how to start this whole story without boring myself rigid in the first ten minutes have been somewhat solved by an idea I had whilst in the shower the other day. We’re going for a retrospective narration. I often find that a lot of my scripts tear bits from the previously abandoned ones. The ending of my one room zombie movies from last year saw the main character, who had been explaining the whole story from a police cell beforehand, suddenly ‘turn’ and attack everybody in the station. It felt like a really rushed idea for a short movie but it might work a lot better for a feature. If there’s more time to go for a slow burn. If we’re running along with one character’s version of events and one character’s only then it obvious we as an audience as being led somewhere. As to if that final destination is the truth or not only time will tell. 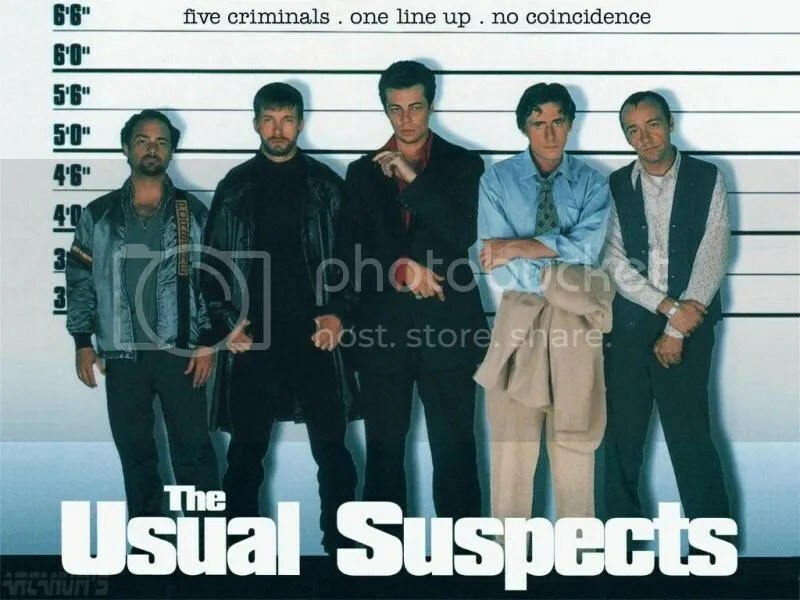 Of course, this idea was used to brilliant effect in 1995’s The Usual Suspects by building up a character so demonic and fear inducing that it was a genuine shock when you discovered his real identity at the end. I’m not saying that this will be as good but it’s a similar path I’m walking. Had a bit of time with the script the other night, worked through a bit of a road block, trying to come out the other side. The problem is that I feel I’m introducing the elements of this story far too quickly, the plot seems to be bringing out the big guns within the first five minutes. On the other hand making it a slow burner means that there won’t be much happening. It’s a hard balance to strike and one that’s making me think of having something else running alongside it at the same time so I can take my mind off it for a little at a time. I’m also thinking of sharpening up the synopsis to Seven Lucky Stars and relisting it just to see if that sparks a little interest (or at least a bit more than it did last time around). I was trying to explain to a workmate today about what stage the script was at. We came to the conclusion that it was like when you only had the four sides of a flat pack wardrobe up. The thing still wobbles when you let it go and it doesn’t look like a wardrobe just yet but you’re waiting to put the backing on so it stands up and you can add the doors. Procrastinating again, another night with this script staring at me and I staring at it. An awkward silence only broken by the occasional tapping of keys. Slow work, running through treacle. A lot of people talk about writer’s block. I don’t get a block as to what to write but I do get blocks as to how to write what I’ve come up with. Some script take a while to warm up, this one remains cold to the point when I’ve thought about moving on to something else already. Tomorrow night we try and gain a foothold up this mountain.